We would like to invite you for an intense day on Oporto, with everything that our city has to offer. You’ll feel like a true “tripeiro”. We begin our visit in the Historical Centre of Oporto, classified as World Heritage, with a visit to the Cathedral. We than proceed towards the Square of Batalha, passing next to the remaining towers of the Wall. Here, we have a surprise for you – a visit to one of the most stunning churches of the city and one of the best belvederes of Oporto. The next stop is at St. Catherine’s Street, a pedestrian and commercial spot, where we will find the Majestic, a famous coffee shop. 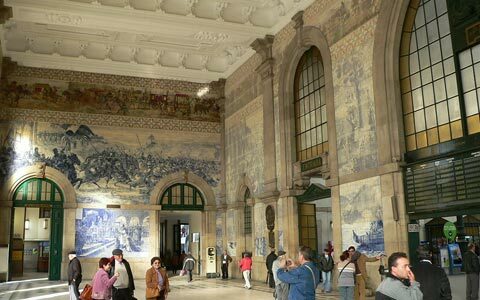 After, we‘ll be pleased to show you the interior of the main train station of the centre, São Bento, where you’ll see a remarkable set of tiles, depicting historical moments and traditional sceneries of Portugal. Next, we cross the Aliados Avenue, where lies the City Hall and, on our way, you will have the opportunity to taste one of our treasure recipes. We than proceed to the area called Clérigos. 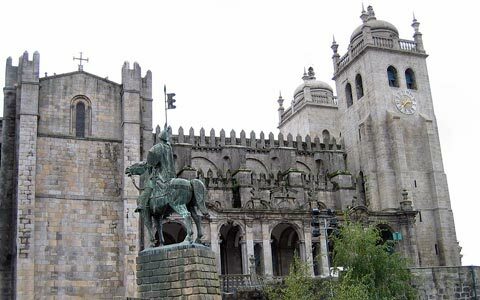 There, we will show you one of the main icons of Oporto, the Church and Tower of Clérigos. You can also take some free time to visit one of the most renowned bookstores of the world and some traditional shops. Up next are the churches of Carmo and Carmelitas, and one of the most traditional wine shops of Oporto. 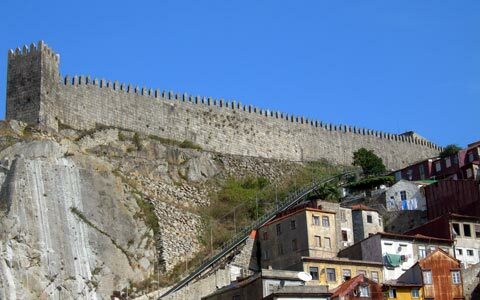 Then we’ll be going down, towards the river Douro, through one of the most picturesque quarters of the centre. The morning ends in the area of Ribeira, in one of its many restaurants. After lunch, there’s nothing better than a cruise on a rabelo boat, so that you can enjoy the beauty of the city, river and bridges. Next, we’ll take you on a visit to the wine cellars, where you will know a bit more about the history and creation of the Port Wine. Cheer up, because it includes a wine tasting. 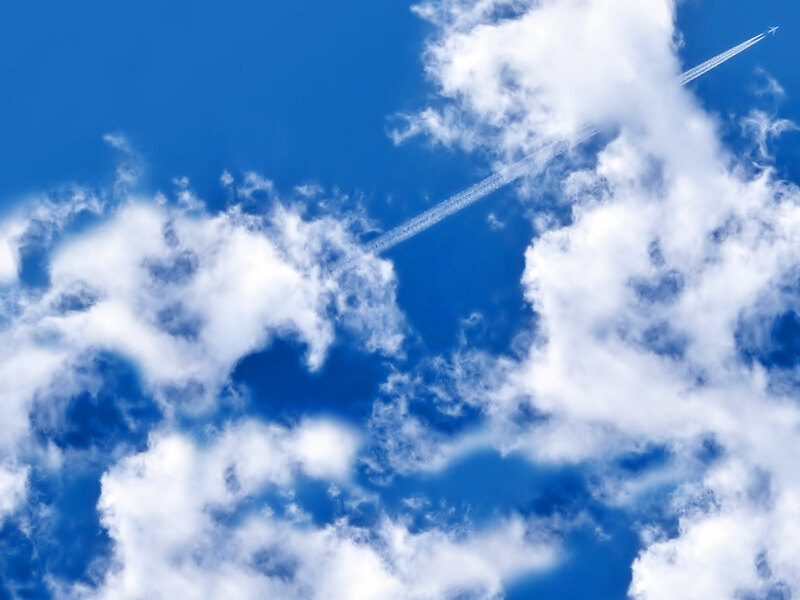 However…the day is not over yet! We are going to take you on a small tram tour along the river, up to the area of the beach. We then invite you to walk along this noble area of Oporto, ending your day in one of the many terraces overlooking the sea and the wonderful sunset. This is our way to welcome our clients, who begin as guests and end as friends. 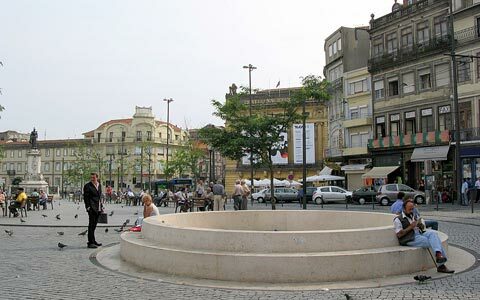 Pick-Up / Drop-Off Hotel (if located in Oporto city area). Available from other cities upon request. Number of Persons Up to 7 people. Available for groups on budget. Not Included Expenses not mentioned in this brochure; Tips.